This is a brief review of the Musical App JamUp Pro XT. This is my personal view about the app. Hope this is useful. Got a rig too heavy and bulky to carry around? Want to practice while in a hotel room? 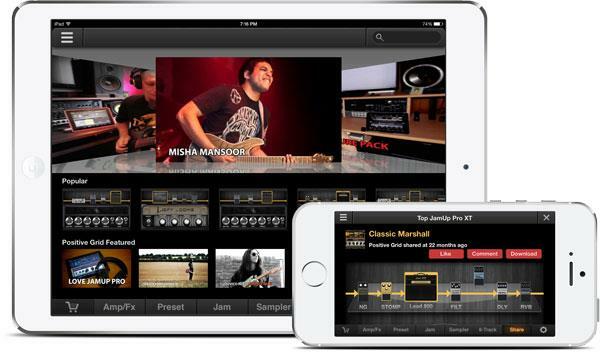 Try JamUp Pro XT. 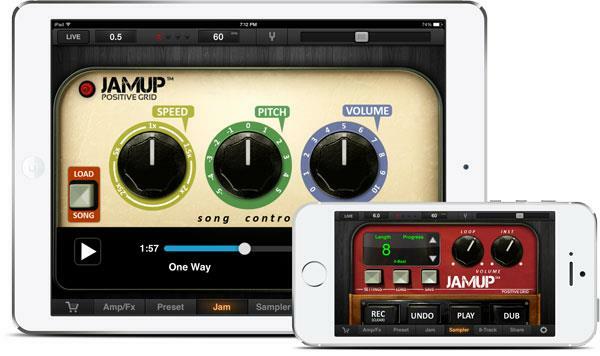 JamUp pro XT is an app by Positive Grid Inc available for iPad, iPhone and iPod Touch. It is a very amazing app for the simulation of many amps and stompboxes. The ability of connecting third party MIDI controllers to this app greatly increases the creativity of the app. JamUp pro XT has simulations of many of the great names in amp manufacturing industry. The amps manufacturers include Fender, Marshall, Messa Boogie, Peavey and Orange. Lead 800, Lead 900, RB-101, OR 30, Treadplate are some of the amps available in this app. 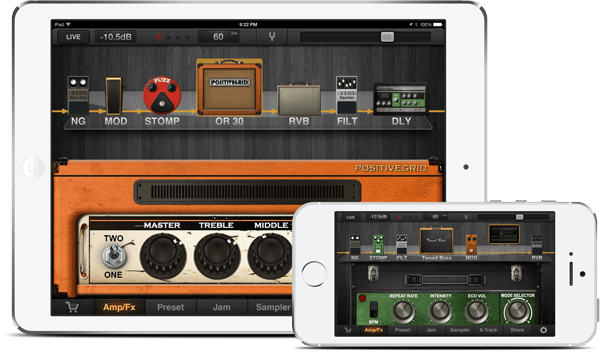 Sustain comp, Red comp, Tube Drive, Over Drive and the classic Fuzz Face are some of the stompboxes included in this amazing app. JamUp Pro XT comes bundled with 6 amps and 16 premium effects. There are some expansion pack available for purchase, this can increase the total number of amps to 52 and effect models to 50. From the vast array of stompboxes and amps you have the power of using seven of them simultaneously. It is easy to choose which order your amps and effects are in. You can simply drag and drop an effect or amp to where you want it in the chain. It can be a nice way to experiment with the chain, and find out what works best for you. Out of tune? Can't find your tuner pedal? No problem. Now you can simply connect your Guitar with your iPad, iPhone or iPod touch and tune your guitar using an easy to use and simple, needle based, tuner. Metronome is also available in this app. Want to hear how your solos sound when doubled with different position on the neck and the chords? In fact, now you can do more than just that using JamUp Pro XT's eight track recorder. There are eight tracks with individual volume controls and panning controls. There is also a high quality audio player available in JamUp Pro XT. You can load any backing track in this app and you can practice with it. There is also a pitch knob, it can be used in a situation like when you are in standard tuning and the backing track is tuned half step down. There is also a speed control knob, in case the backing track is slow or fast for you. At last there is a volume knob. There is even a phrase sampler in this app. With this you record a short audio and loop it forever. You can also overdub the audio. There is a live view mode present in JamUp Pro XT, it provides clean interface with just few essential buttons. It comes handy in live scenarios, where in a hurry you may accidentally select the wrong option. Pedal controllers such as Griffin pedal controller can also be connected to this app. You can assign four of the stomp switches from the app to the pedal controller. Griffin pedal controller also has expression pedal input which can be used as a Cry Baby Wah or as a volume controller. There are 128 patches available. Tone Sharing is one of the highlights of this amazing app. It makes this app an app with one of the largest amount of patches if not the largest. It contains patches made by many renowned guitarists, and other users. If you want to try this app before buying, you can do so using the free version of this app. The free version has 1 amp and 6 effects. There is only volume and panning controls for the eight track recorder.